Shoulder-to-shoulder taping, double-needle stitching on sleeves and bottom hem. TearAway label, slim fit. 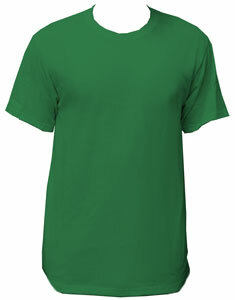 A quality, fitted t-shirt for men. "I ordered fashion fit, but received lightweight 980. I used fashion fit in the past, but the lightweight 80 is actually better. hopefully that's what will continue to be used for "fashion fit""
"These shirts are absolutely incredible. The staff was super helpful when I asked to make edits to the final design, and the shirts arrived days before the expected delivery date. Overall I am extremely happy with the product! " "Excellent fit. Just as described. I love them! The tear-away label is awesome"